A few day ago, we posted a few ads for a content writing position and we received many responses. Some were excellent and others were not very good. This brings me to the point of this blog entry. How can people expect to get hired for a job if they don’t even put any efforts into applying for a job or even follow directions. 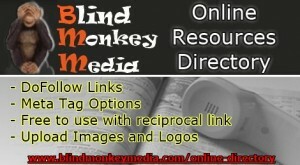 BlindMonkeyMedia is currently looking for a new member to join our team as a writer. The job is a contract job that can turn into a full time job for the right candidate and for the first month, you will be asked to provide 5 to 10 articles of 500 words per week at the rate of $0.03 cent per word. After a long 6 month of work, we are finally done with the skiurlaub Tirol keyword project. We had originally thought thatthi contract would only take 2 to 3 months to complete however, we forgot to factor in that the site was brand new. Next time, we won’t make that mistake.